In another step to make derivatives trading safer, 18 of the largest global banks agreed in October not to abruptly end derivatives contracts with each other if one of them gets into financial trouble. The agreement, designed to buy time in case of a Lehman Brothers‒like crisis, seeks to curb systemic risk. The Bank for International Settlements says the gross market value of OTC derivatives outstanding declined to $18.6 trillion at the end of last year from $27.3 trillion at the end of 2011. The bulk of the OTC derivatives trading takes place in interest rate contracts, which dropped to $14 trillion from $20 trillion two years earlier. Meanwhile, the CME Group says its volume of listed interest rate contracts set a daily record of more than 25 million in mid-October, when rates plunged on worries about a potential global economic slowdown. Trading in dollar-interest-rate swaps on SEFs, which came into being as a result of the Dodd-Frank Act, hit its own record at the same time. There are now 24 SEFs registered with the Commodity Futures Trading Commission in the US. Regulation is moving the interest rate swap market inexorably toward central clearing and trading, according to Eurex, a German exchange. “That’s why we introduced our euro-swap futures,” Eurex noted at the product launch in September. A recent report by research firm TABB Group surveyed 40 investment firms and found that 70% expect their listed futures trading volume to increase over the next 12 months. In the energy markets, the major oil companies have stepped up their market making in oil-product derivatives, as many banks have pulled out of the commodities business. The oil companies are not subject to the same regulatory restrictions as banks and can offer better prices in many cases. 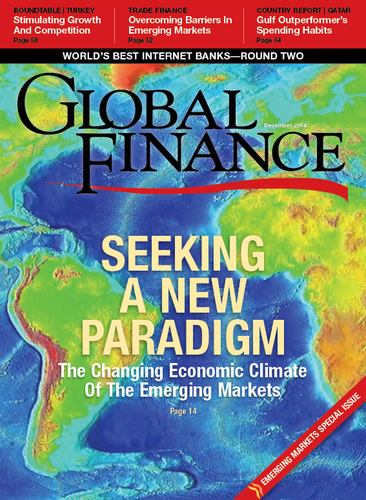 Many banks remain active derivatives traders and liquidity providers, despite the added costs. The market remains concentrated, however. In the US, four large commercial banks still account for 93% of the industry’s notional amount of derivatives outstanding, according to the comptroller of the currency. 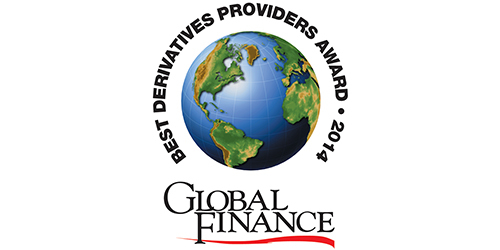 Global Finance has selected the World’s Best Derivatives Providers in five main categories across the key regions of North America, Europe and Asia. Awards were also given for the Best Derivatives Providers in Latin America and in the Middle East. Two exchanges were recognized for their accomplishments. The criteria used in selecting the winners included volume, market share, scope of global coverage, customer service, commitment to the business, pricing, technology and execution skills.